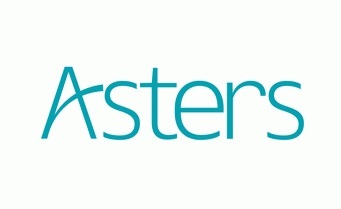 Asters is a full-service independent national law firm that has maintained a strong presence in Ukraine since 1995. The Firm provides efficient transactional legal advice and client representation on a broad spectrum of matters that arise in the course of doing business in Ukraine. Asters combines established world-class quality, international recognition and strong local presence. The Firm’ 120-strong staff offers to clients a mix of deep local awareness and substantial international experience. Asters’ lawyers received law degrees from the best European, Ukrainian and US law schools, including Yale, Harvard, Chicago, and California University. Asters established history and diverse team allows us to provide quality advice in a broad range of practice areas, including biotechnology and life sciences. Asters team advises pharmaceutical/biotechnology and medical device manufacturers and suppliers on a large variety of Ukrainian law matters, including M&A, regulatory, tax & customs, distribution, product labeling & liability, clinical trial material issues, IP protection, and antitrust. The firm successfully represents clients before the Ministry of Health of Ukraine, the Antimonopoly Committee of Ukraine, the State Pharmaceuticals Quality Control Inspectorate, tax, customs, and consumer protection authorities. GlaxoSmithKline, Sopharma, Teva, Actavis plc, Aventis Inc., Bayer, Aspen, Kodak Health Group, Novartis AG, Fapomed SA, L’Oreal Ukraine, S.C. Johnson & Son, Biologische Heilmittel Heel GmbH, as well as many other multinational corporations and major local companies are the clients for which Asters’ attorneys regularly handle a variety of complex matters and the largest transactions. The team at Asters is ‘brilliant – attentive, creative and good value’, and Julia Semeniy is ‘a delight to work with’. Armen Khachaturyan, who has ‘profound understanding of clients’ needs’; and Vadym Samoilenko. Tamara Lukanina ‘pays attention to every detail’. Advises on corporate restructuring and joint ventures and provides day-to-day support in commercial matters. "We engage Asters for complex matters." Exceptional team with notable experience in merger clearance and competition litigation. Active in the pharmaceutical, healthcare, IT, telecoms and energy sectors. Our specialist Oleksiy Didkovskiy is happy to meet you. Our specialist Julia Semeniy is happy to meet you. Our specialist Vadym Samoilenko is happy to meet you. Our specialist Svitlana Poroschuk is happy to meet you.